Providing accountancy services to Sole Traders and Limited Companies around the UK. 20:20 Accountancy is a Bournemouth, Dorset based new style accountancy firm designed to meet the demands of 21st century business. We believe in keeping all of our services as simple and user-friendly as possible. To this end, our clear and highly competitive no extras fee structure is tailored to each individual clients needs. The pains we take to really get to know our clients and their business allows us to be ahead of the game when it comes to the advice that we give. We are part of the NWM group, which has over 10 years experience in the provision of accountancy and support services to SMEs, contractors, consultants and other entrepreneurs. Our established infrastructure resources, encompassing book-keeping, VAT, payroll, tax planning and traditional financial accounting provide a solid administrative base from which to support our accountancy client portfolio. 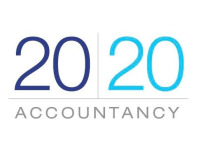 20:20 Accountancy offers a fresh and proactive approach to the successful financial management of your business.